What’s grilling at your house this Independence Day? Looking for some do-it-yourself tips? Here we’ll share our secrets for the Boss of the Sauce and provide some grilling recipes for the gourmet aficionado. Having any problems with your grill? We’re happy to help. 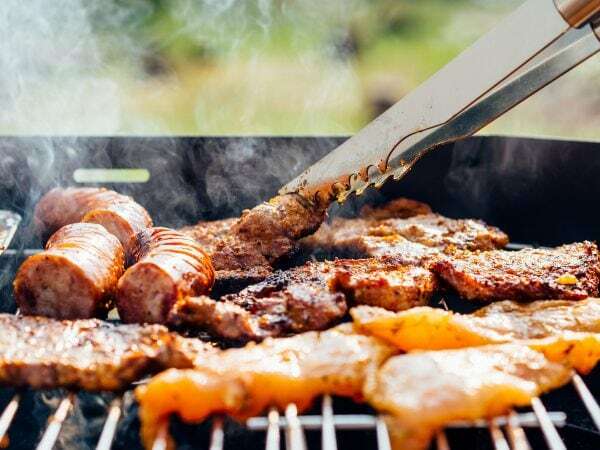 The most popular holiday of the year for grilling, the Fourth of July is a great time to flex those grilling muscles and try mixing up the classics with a few twists of your own. 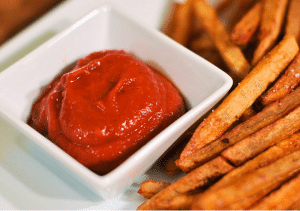 We’ll tackle side dish recipes below, but first, it’s all about the sauce. Photo Credit to: Joshua Bousel. Ever try making your own? Here’s 33 recipes that will impress your guests, right down to the littlest finger-licking one. From Thai-inspired sweet chili to mayo-based spreads, these easy recipes are sure to spice it up and make your party memorable. There’s nothing more American than hamburgers so we’ll give you a few refresher tips on how to grill them just right. Don’t pack the patties, please. Too often people will pack their meat too tightly and then flatten them down too much. You lose all of the juice that way and risk drying out the meat. No flattening while cooking. Are you tempted to squish the meat while grilling, especially when it inflates in the center? Don’t do it. Here’s a secret to avoid that “bloat” in the burger patty. After making your tennis ball shaped discs, flatten out the patty and then use your thumb to make an indentation in the center. It works! Don’t get flipping happy. Flipping once is enough to achieve a juicy burger. Don’t cook them too long. Usually 5-6 minutes for the first side and then fewer minutes for the second, maybe 3-4. Cooking time will vary based on the thickness of your patties, but this is a good general rule of thumb. When you see juices forming on the top, you’ll know the center is cooking. Creative sides to wow your wife! 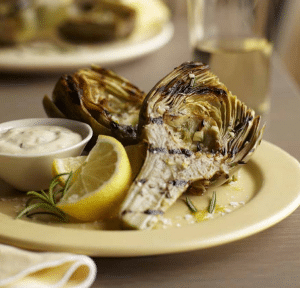 Grilled artichokes? Why not? How about grilling the corn on the cob? 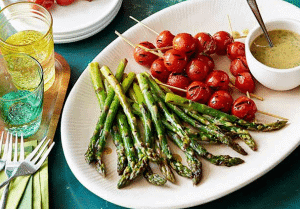 You also can’t go wrong with a basket of grilled vegetables, drizzled with olive oil and salt and pepper. Easy. Colorful. Healthy! For the vegetables, we suggest zucchini, squash, peppers, and flavorful red onions. Get creative. Slice them all up ahead of time for a colorful array of yellows, greens and reds. Then mix them together in a giant bowl and drizzle the olive oil over. Salt, pepper. Mix again. Repeat. Dump everything into your grilling basket and you’re ready to go. Keep in mind that the veggies take longer to cook than other items, so you may want to start them sooner rather than later. They don’t have to be piping hot for your guests to enjoy them, so don’t worry about timing it all to the second. You’ll be busy enough. Photo Credit to: Nordstrom Men’s Shop Daily. Now that you’ve got your menu together and are up-to-speed with cooking tips, let’s talk about the actual grill. You want to be sure it’s in top working order before your party. If you should need service, now’s a good time to jump on it. Call Don Bacon Appliance Service today to schedule an appointment at 513-452-4083.